Issu ed 3rd March 1969. Nice clear cancel, sealed cover with insert card. Definitive Wales 4d 1966 Towyn Merioneth CDS on Talyllyn Railway Company Cover. British Paintings 1968 London SW1 Slogan Unusual IR Internation Rectifier Cover. Cover Open No Insert card. GPO Commemorative First Day Cover TUC Centenary. Postmarked First Day of Issue TUC 100 Manchester 29 May 1968 4d stamp. Please see the photos for general condition. We are having a clear-out in anticipation of downsizing in a couple of years. 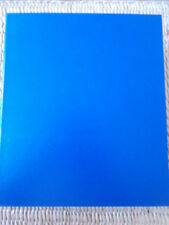 This includes a large selection of postcards, football programmes, some coins, clothes and other household items. Please keep checking back for other quality items. This item will be dispatched with Royal Mail 2nd Class. Contact us after the auction if you wish to use an alternative service. Thanks for your interest and happy bidding! 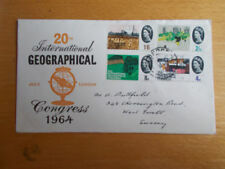 First Day Cover for Concorde postmarked Reigate & Redhill on 3 March 1969. 4d, 9d and 1/6 stamps. Please see the photos for general condition. We are having a clear-out in anticipation of downsizing in a couple of years. This includes a large selection of postcards, football programmes, some coins, clothes and other household items. Please keep checking back for other quality items. This item will be dispatched with Royal Mail 2nd Class. Contact us after the auction if you wish to use an alternative service. Thanks for your interest and happy bidding! Issu ed 20th February 1967. Original Information Card: YES (Old sticky tape mark on back of cover, hidden by flap). Issu ed 27th November 1967. Issu ed 18th October 1967. Issu ed 19th September 1966. Issu ed 1st October 1969. 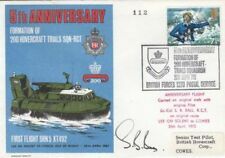 1970 GAMES Stamps BRITISH FORCES First Day Cover FPO 965 Postmark REF:C133. Hence the reason why we show 3 very similar Scans of the Cover. Our Ref:C133. Stamps GB 1969 Concorde FDC with Filton FDI pmk. Stamps GB 1969 Concorde FDC with Filton FDI pmk. Good catalogue. Minor defects.Dispatched with Royal Mail 1st Class Letter. GB FDC Battle of Hastings 14OCT1966. Dispatched with Royal Mail 2nd Class Large Letter. 3 x envelopes still have the original gum as they were never stuck down.